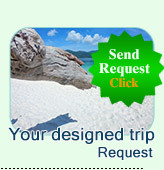 Jc.Tour offers a difference leisure holiday mixed between Relax and Active Emotion. We hide you into the giant lake of Southern Dam amid the Hills. 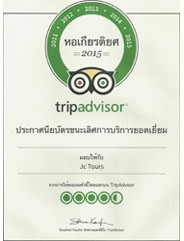 Jc.Tour offers a difference leisure holiday mixed between Relax and Active Emotion. We hide you into the giant lake of Southern Dam amid the Hills. 10:30 AM: We arrival the Biggest Dam of Thailand Southern: (Cheawlan Lake) Take a great Picture from the Bird's eyes view onto the Dam. 10:50 AM: The "Long Tail Boat start from the Dam Pier into the pice of Water. Heading to the deepest of Dam Area, to the hidden rafting resort. 11:20 AM: On the way to the Resort, we passed 3 Friend Mountain Isalnds. The point is the signature of the Lake, we must stop to discover them and take a picture. 12: 20 PM: Arrival the rafting Resort, check in. 13:00 PM: Lunch served on the Floating Restaurant of the best resort on the Dam. 14:00 PM: The Leisure Time: Do private Activity. Kayaking (Free of charge 1 Kayak / Room) Reading Book, Swimming on the Floating Swimming Pool or play with the fishes in front of your floating Room. 07:30 AM: Breakfast at the Resort. 08:30 AM: Take the jungle walk to see "Tazan View Point" To see the most beautiful view on the high view from the mountain to the water. 12:00 PM: Back to the Resort and having Lunch. 13:00 PM: Check Out Long Tail boat take you to Small Kuy-Lin Point - Sigh Seeing the Nature Around where the birds, Fog, water, mountain, safari and completed nature meets in the same time. 15:00 PM: We arrival the Pier. 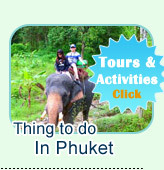 The Air-Condition Minibus transfer you back to Phuket or Khaolak or Krabi. 18:00 PM: Arrival your hotel. Accomodation (Air-Condition Rafting Bungalow) with one Private Canoe Boat.